After years of pondering, I finally decided to upgrade my camera. I was reluctant, because I was so happy with my old Canon digital SLR, a 300D, and my EFS lens. Such a loyal, reliable combination. But being an early adopter means that I've been stuck at 6.3 megapixels. And I often want to crop details out of shots to show yarn and stitches. Time for more pixels. And settled on the Canon 50D. Lots of pixels, lots of used models available on ebay. Not as fancypants as the 60D, but not as pricey. And, the other thing I'm pretty pleased with is my new light tent. It's a dark time of year, and it rains a lot here, not a lot of light for photos. So I had to build something. Now, let's just get this out of the way: I'm not handy. Neither is Charles. We keep our tools in a Rubbermaid tote in the shed along with other miscellaneous items like broken smoke alarms and Ikea manuals and balls of twine. We can never find the screwdriver and we have only the vaguest idea of how to maintain our car. 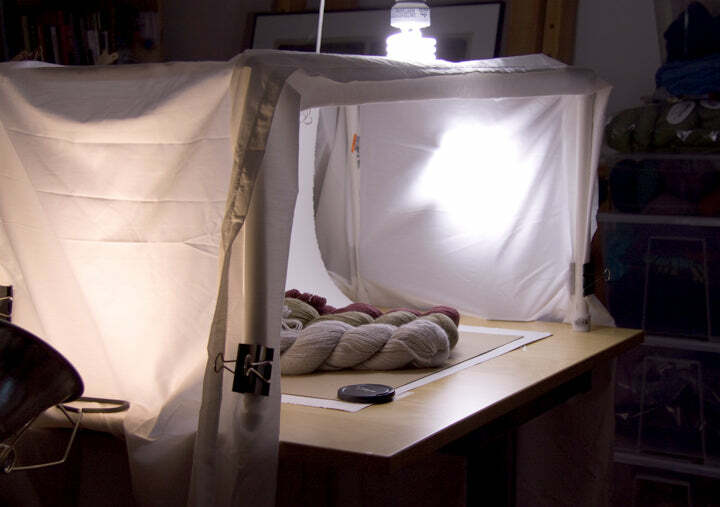 So, when I found instructions to make a light tent out of pvc, household lamps, and a white sheet, I was trepidatious (is that a word?) But after a trip to the hardware store and a successful search for a hack saw (yes, it was in the Rubbermaid tote next to a broken clock), Megan for the win! I don't know much about the camera yet, I just turned it on, but these yarn shots are taken with the 50D, using a fluorescent white balance setting, and no adjustment in Photoshop. And the yarn? I hope you can get a sense of the texture. 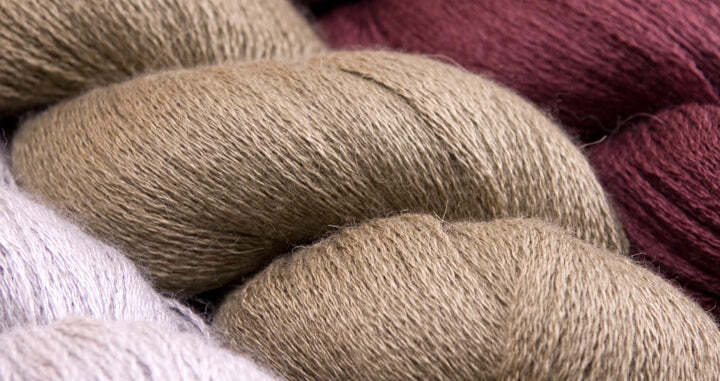 This is Americo Original Sedoso lace weight, 765 yards/100g, 60% royal alpaca 20% cashmere 20% silk. Yes, it is that soft.